February means Valentine’s Day, Black History Month, President’s Day and Groundhog’s Day but it also means big savings! February is National Canned Food Month as well as National Hot Breakfast Month. As I began talking about last month, there are certain things you should buy in certain months in order to get the best deals. You can stock up on these items and enjoy the savings all year long! Keep in mind the shelf-stable stuff can be kept long-term, and the fresh produce can be canned or frozen to enjoy far beyond its fresh use. You may not be throwing a Super Bowl party, but if your family eats snack foods, you should still consider stocking up during this time! Take a look at the list below and get started filling your shelves and freezer! 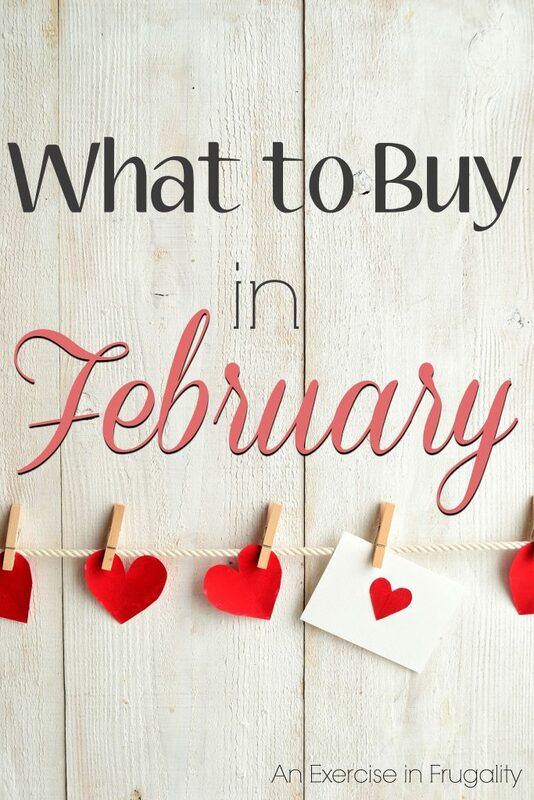 What do you like to stock up on in February?